Other options for listening: iTunes, VLC or other music players. We’re also on TuneIn. If you have a smart speaker, just say, “Play Radio 614”. Did you miss your favorite show? Visit our archives page to stream the show on demand. 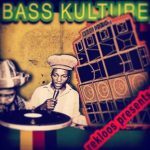 From the original 60's Ska rhythms, the dusty grooves of 70's Dub, computerized 80's Dancehall, and all things Dubwise onwards&forwards to today's contemporary children - BASS KULTURE is a one hour live mix show hosted by local producer/dj Rekloos. Tune in every Sunday from 12-1 PM EST and Friday from 10-11 PM EST. Your donations keep us on the air! While the station is run by volunteers, we still have costs associated with music licensing and online hosting expenses. So every little bit you donate helps us to defray those costs. Click the button below and choose the amount of money you wish to donate, and thank you from the entire staff of Radio 614! In addition to donations from our members, various local businesses and organizations sponsor Radio 614. Please patronize these businesses and let them know that you appreciate their support of Radio 614! Dough Mama — coffee, pastries, pies, biscuits and more. Old 3C Label Group — the Midwest’s premiere micro-indie record label group. Break-Up Records — home of the Columbus Blood compilations and more. The Community Festival and The Donald J Arnold Education Fund — have provided generous grants to make Radio 614’s live broadcast events possible. Radio 614 is volunteer-run! Help us enrich the local arts and music communities by lending a hand. Contact us via e-mail or social media. You will find links to each at the bottom of this page. This website and audio stream are projects of Radio 614, a 501(c)(3) nonprofit organization based in Columbus, Ohio. Radio 614 serves to educate the public about audio, video, internet and broadcast technologies, and to help individuals find ways to use these technologies to enrich local culture in the Central Ohio Region. Radio 614 unites artists and musicians with new media so that they can more effectively create, market, and distribute their work.